How long will a Beacon battery last? Which mobile devices support Beacons? Will Beacon-based location finding and proximity alerts work if a visitor's Bluetooth is turned off? Can I use Beacons with GPS? Why can Access Point Beacons (APB) only be set to a High power level? What are some Beacon placement best practices? Can I move all of my Beacons from one Editor location to another? It depends on the model of battery Beacon. BT-1 Beacons have a battery life of 1-2 years. The newer BT-20 Beacons have a battery life of approximately 4 years. Because of the way Beacons report battery life, Beacons Management will show a Beacon battery life for most of its life, and then show a steep drop-off at the end of the battery's life. 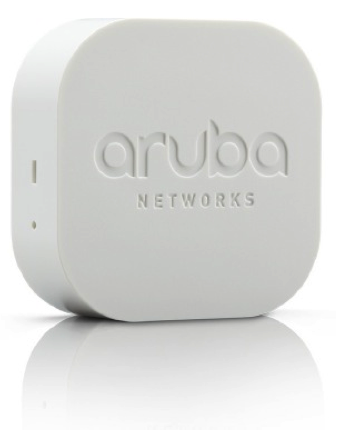 The Aruba Beacons technology is built on Bluetooth Smart, also called Bluetooth Low-Energy [LE] or Blutooth 4.0. All Beacons compatible devices must have Bluetooth 4.0 and support the Bluetooth Smart API. No, if a device's Bluetooth radio is turned off, it won't receive Beacon signals. The Beacon signal is sent over the Bluetooth radio, and in order for a smartphone to hear the signal, the radio must be turned on. There is no way to force a device's Bluetooth radio to turn on. Instead, we suggest notifying visitors at key moments that they should turn on Bluetooth. For example, on an iOS device when you use the Maps app to ask for your current location, if Wi-Fi is off, it will prompt you to turn on Wi-Fi to improve accuracy. This is our recommended approach for Bluetooth. When a visitor requests something of value, like the current location, prompt the visitor to turn on Bluetooth. Our SDK supports creating Bluetooth prompts at specific moments. Yes, your Meridian-powered app can seamlessly transition between GPS and Beacons when pinpointing a visitor's location. You can tell whether the location service is provided by GPS, because the blue dot will be green. To set this up, in the Editor, add an Area Placemark to the outdoor section of the map. Set the Placemark type to Outdoor area. Once you've done that, make sure you've set the Control Points for your map. In the Editor, this feature is located at MAPS > Edit Map > Edit Control Points. GPS is returning a confidence better than 5 meters. The GPS Lat/Long that is being returned is inside the Outside Area Placemark on your map. Meridian-powered apps will always prefer GPS over Beacons. 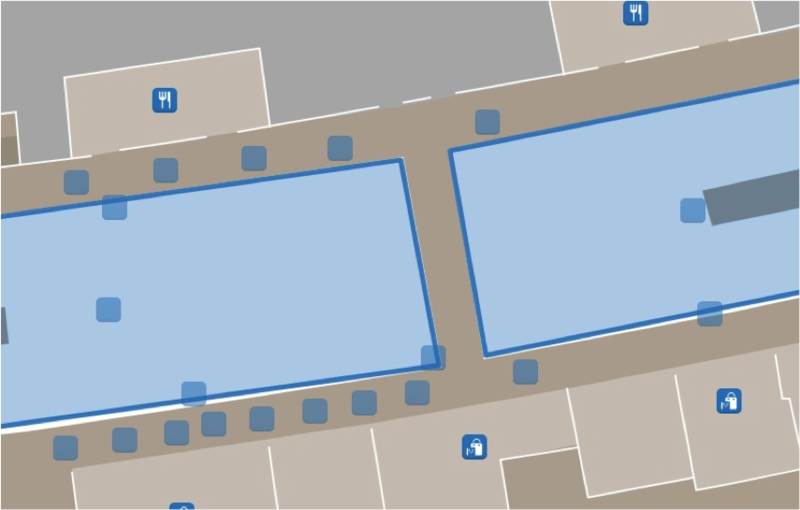 When you lay out your Outside Area Placemarks for GPS, move them away from buildings and physically extend BLE tags to cover areas inside your Outdoor Area. For example, if you are on the 4th floor of a building near a window, your phone can sometimes report a GPS fix with an accuracy better than 5 meters. Your GPS Outdoor Area bumps up against the building, it is easy for that GPS fix to locate you in the Outdoor Area adjacent to the building, place the blue dot outside the building. Access Point Beacons (APB), both USB and those built-in, can only be set to a High power level because their transmission power (in dBs) is inconsistent with battery-powered Beacons. Generally, AP placement options are far less flexible than those for battery-powered Beacons, making them less useful as Proximity Beacons set to Low or Medium power. In general, we recommend using APBs as Location Beacons. Beacons can be placed on walls and on ceilings. Beacons can be placed outside. The placement of Beacons will affect the movement of the blue dot in the Meridian-powered app. If you want the blue dot to travel in a straight line, make sure your Beacons are aligned along a straight line. This is especially important for Beacons placed in long, narrow hallways. 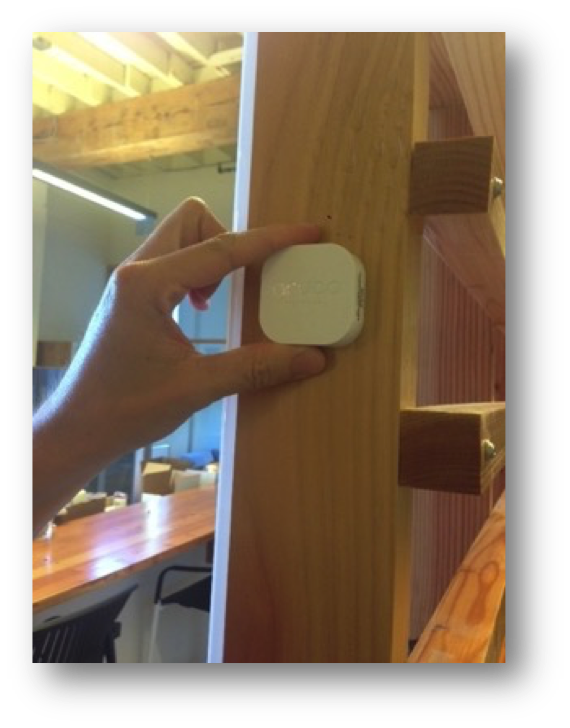 Beacons can be placed using adhesives, wall mounts, and ceiling mounts. Outdoor Beacons can be placed inside outdoor cases to protect them from wind, dust, and other outdoor elements. For more information on using mounting brackets to improve the ease of replacing mounted Beacons, please see our Indoor Mounting Bracket (PDF) and Outdoor Mounting Bracket (PDF) guides. Beacons should be placed about every 30 feet or so. If a Beacon is placed on a wall, it should be placed high enough that people can't easily take them. 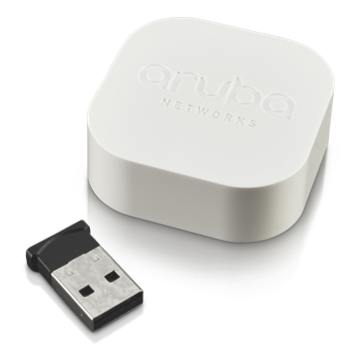 USB Beacons plug into Aruba Wi-Fi access points (APs). If possible, make sure that the USB Beacons face out. The Bluetooth signal can be diminished if the USB Beacon is placed between the AP and a wall or ceiling. Yes. 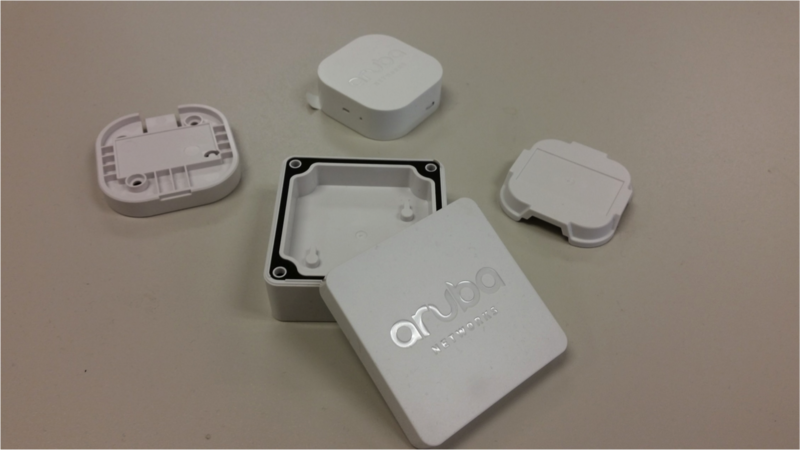 If you have a small number of Beacons, you can use the Aruba Beacons app to remove each Beacon from one location and then then deploy them to another. If you have a large number of Beacons to migrate to another location, please email us at: customers@meridianapps.com. Please note that our bulk Beacons migration process requires the Beacons are moving to a location within the same organization.